Many Christians spend their lives trying to act right, think right, and pray right - based on what they've heard God expects - only to end up frustrated, burned out, and wondering "is this really the kind of relationship God wants for his children?" Other believers face a perpetual wrestling match with guilt, doubts, and questions about their faith. Many of us rely on secondhand information to understand the kind of relationship God wants with us, instead of looking to the scriptures. Yet if we take a closer look, we find that He has given us the answers to many of our deepest questions in his word. 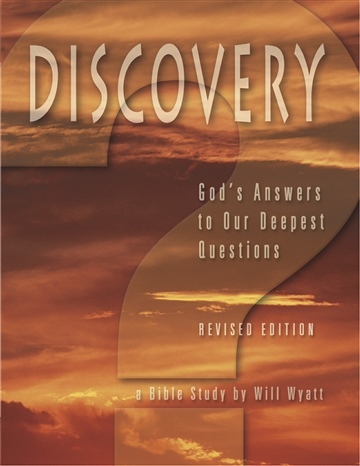 Discovery addresses many of these questions, guiding readers through Old and New Testament passages to find the answers we yearn for. 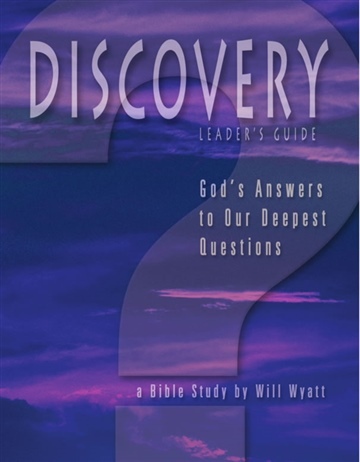 Thoughtful questions at the end of each chapter help us take the next step - moving "head knowledge" to "heart knowledge" as we discover how God's answers apply personally to our lives. 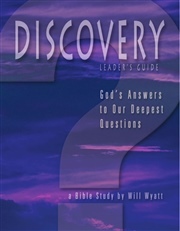 Discovery helps redirect those who have grown up knowing about the lord, but who have not experienced the deep, meaningful relationship He wants with them. And for new believers, this study will help them begin their walk with God on the right foot.All believers can experience joy, peace, and a sense of God's love, even in the midst of a question-filled world. A native of Southern California, Will Wyatt graduated from Biola University and California State University, Los Angeles. In 1953 he joined the staff of Young Life, an outreach ministry to high school students. Since 1977 he has been the volunteer director of Discipleship Focus, a summer program for college and career-age men and women. Will has also been a self-employed businessman for more than 40 years. He and his wife, Betty, married since 1954, have two grown children. They live in Murrieta, California. "Every chapter has blessed my heart. I've shared many of the thoughts in sermons and with people I'm working with." -- Pastor Tim Spykstra, Escondido, CA"